Home loans became even more expensive to re-pay in October because of higher interest rates and rising house prices, the Council of Mortgage Lenders said. 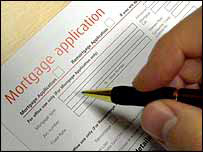 The CML said that interest repayments swallowed up 20.6% of first-time buyers’ monthly incomes. That was up from 20.4% in September and the highest level since 1991. Meanwhile, Conservative leader David Cameron will ask banks to do more to help householders avoid repossession when their fixed rate mortgages end. Let’s hope that the banks take some notice of Mr Cameron.